Happy Shark Week! 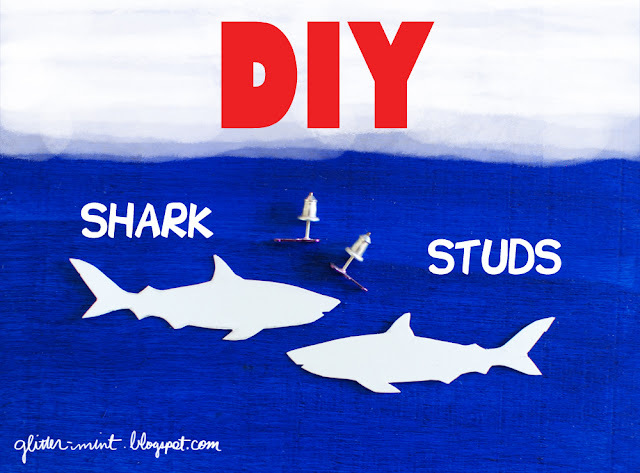 Despite your views on the rebranding of Discovery Channel or those "mockumentaries" (ugh) we have a special, simple shark DIY for you as this ichthyology week closes. 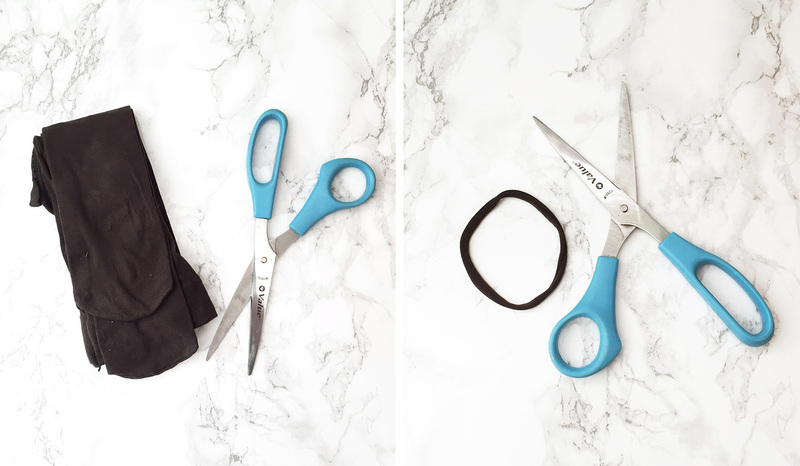 We've used shrink plastic many times before but only recently realized we never shared about it on the blog! 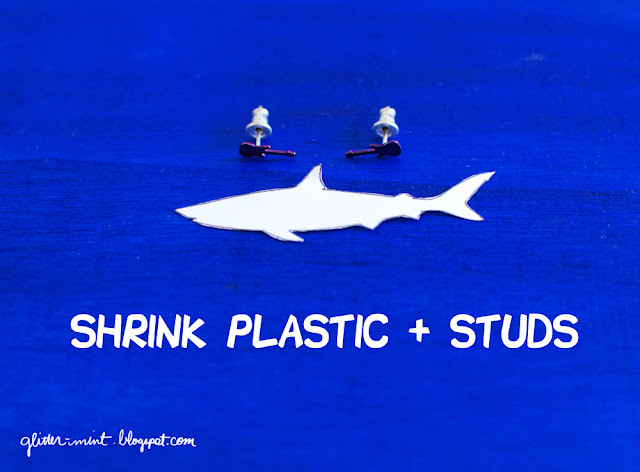 Well, I decided I wanted a pair of shark stud earrings because why not, and shrink plastic was the perfect material! So *dramatically drags nails on chalkboard* let's catch this bird. You'll need some shrink platic, some studs (I used some old earrings), and this template you can download right here. Make sure to set the scale to 100% when you print. I also threw in a bigger shark for whatever your shark purposes may be. 1. 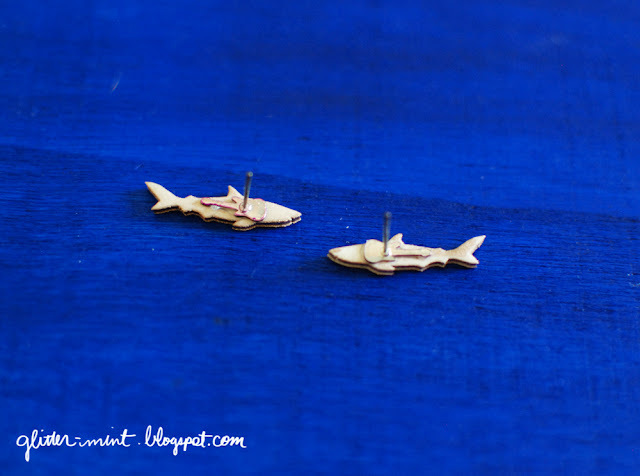 Cut out two small sharks from shrink plastic. 2. Shrink 'em! Set the oven to 275-300° F and bake it for 2 minutes. FYI shrink plastic curls up then flattens out again so don't be scared if your sharks look all warped. They'll be fine. 3. 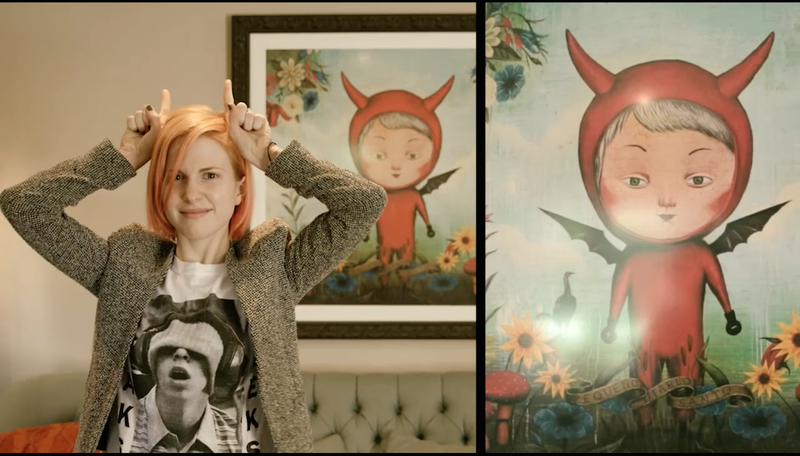 Paint 'em! I went with gold spray paint because I liked the idea of golden sharks. 4. Super glue your studs to the back of the shark. Make sure they're turned in opposite directions. That's it! This took me maybe 10-15 minutes then I let the glue set overnight. If this doesn't satisfy your shark needs then check out Discovery's 100 shark facts and let us forget their megalodon "documentary." Fun fact: I went to Sea Camp in San Diego when I was 14, and we swam with sharks in La Jolla. It was super cool and one of my favorite memories. You guys swam with sharks? I didn't hear about that part!!! so creative and fun! fabulous blog you have here!